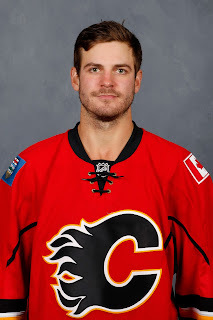 With rugged left winger Lance Bouma (broken leg) back skating with the Flames, we're inching closer to what shapes up to be a very interesting roster decision that Calgary will have to make at forward. Bouma is not ready to return yet. On Saturday when Calgary plays host to the New York Rangers, he will miss his 26th game since suffering a spiral fracture of his fibula in his left leg on Oct. 13. However, he is well ahead of schedule in respect to the original prognosis of three months on the sidelines. When Bouma is ready, barring a new injury up front between now and then, who goes? The Flames are currently sitting at 14 forwards on their full 23-man roster. To add a body, they'll also have to subtract one. It used to be an easy answer given of the plausible options there is only one forward on the roster not waiver-eligible, who could be sent to Stockton without having to be exposed to the NHL's other 29 teams. 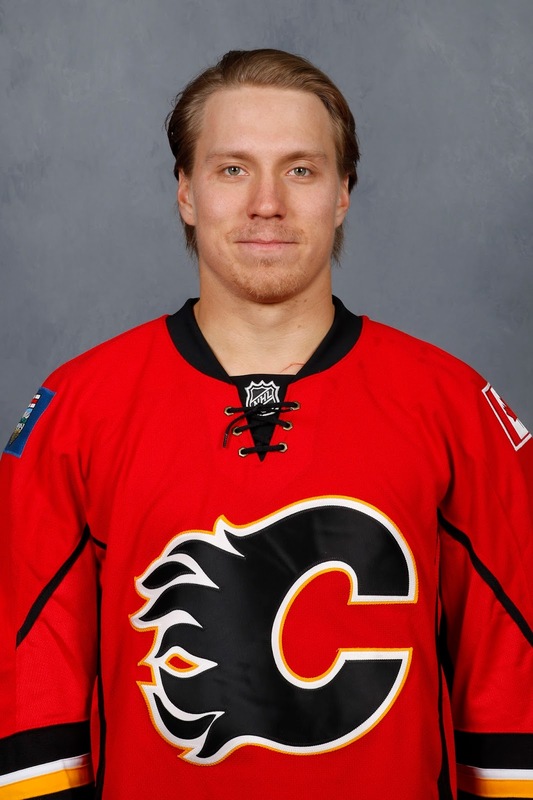 Of course, we're talking about Markus Granlund. However, the decision this time around isn't nearly as simple as the 22-year-old Finn is in a groove and playing excellent in a top nine role centering rookie Sam Bennett and veteran Jiri Hudler. I took some time to handicap the choices as of today, while acknowledging that the landscape could change quickly between now and when Bouma is actually declared fit and is ready to be activated. One thing we can safely assume is one of the options the club will not choose is putting off the decision by further delaying Bouma's return. 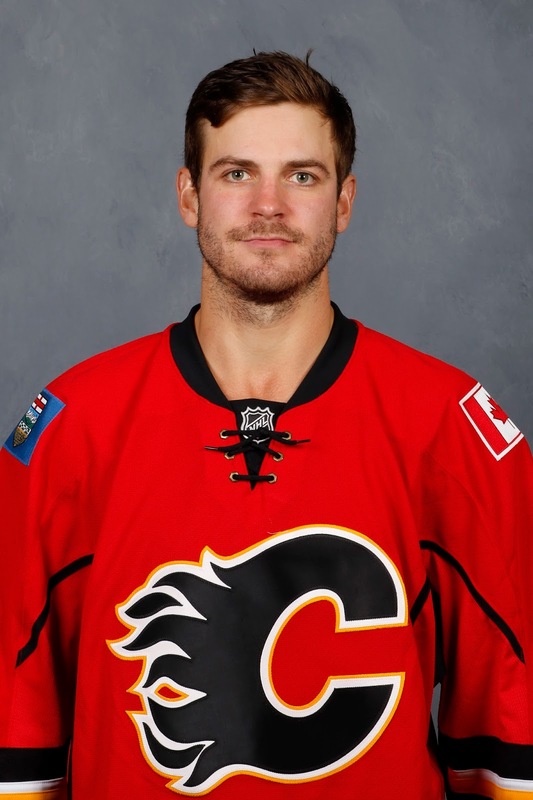 Coming off a 16-goal breakout season in 2014-15, Bouma brings a lot of different elements to the Calgary line-up. But the one area this team is most desperately in need of at the moment is his ability to kill penalties. Last year, he was Bob Hartley's most trusted penalty killer and would get the tap on the shoulder far more often than anyone else. Bouma's 138:22 in shorthanded time-on-ice last year was nearly an hour more than Mikael Backlund, who was second amongst forwards at 80:21. As you know, the Flames penalty killing this season is the worst by far in the NHL. Operating at a futile 53.3 percent clip over the last seven games (8-for-15), it is 70.3 percent on the season and a long, long way back of Carolina, which ranks 29th at 74.6 percent. Abysmal, awful, dreadful... Calgary's PK has been all of those things and then some of late and the sooner they can freshen up the personnel and get Bouma back out there, know that they're going to do that. He won't be a saviour but his presence on the first forward pairing sent over the boards shuffles everyone else down and gives Hartley an ability to no longer deploy or at least limit the usage of those forwards that have not been effective in that role. 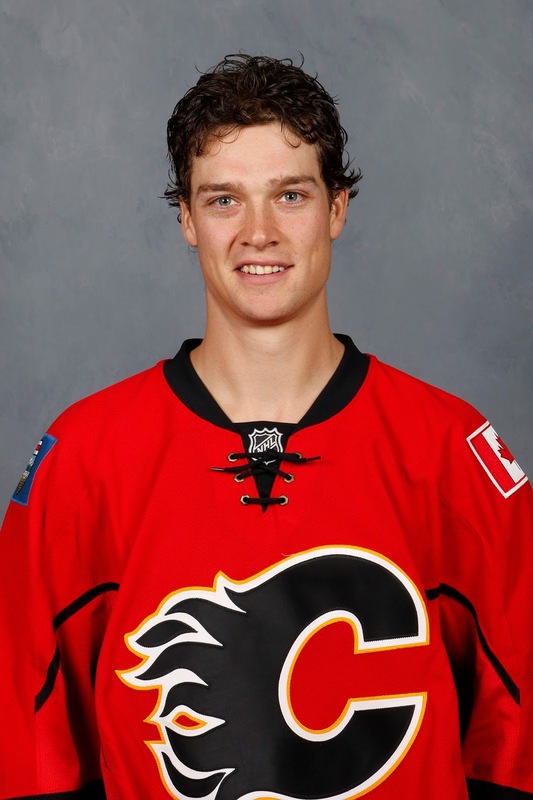 Going back to last season and including the playoffs, Mason Raymond has scored one goal in his last 41 games. That's one measly goal in a half-season for a guy who is supposed to be a goal scorer. That's just not good enough. Now to his credit, he's been playing better the past four games used in a top nine role with Mikael Backlund and Michael Frolik -- and the Flames have won all four. But has he shown enough the past couple weeks to remove him from the chopping block? Time will tell. Prior to this current stretch, the 30-year-old was one of Hartley's most common healthy scratches having spent 11 games in the press box this season. He's been waived once already at the start of the year so there's no reason to think the Flames won't put him on waivers once again. With another season after this one still remaining on a deal that pays him $3.15 million annually, it's highly doubtful he'd be claimed so he goes to Stockton where he becomes a veteran call-up option for later on when a call-up is needed. You got a good sense of where Josh Jooris currently resides on Hartley's naughty list on Thursday night. The coach had already declared earlier in the day he was going to sit out Micheal Ferland to give him a chance to reset and watch a game from above. But with the flu running through the Flames dressing room, last minute line-up changes were necessary when Jiri Hudler was unable to go. But instead of inserting Jooris, which would have been an easy move, Hartley instead re-inserted Ferland and Jooris sat out his fourth consecutive game. Jooris was a terrific story last season, coming from completely off the radar to play pretty much the whole season and play a key role with 12 goals and 24 points. However, he has not had the same impact this year with two goals and three points in 20 games and eight times he's been the forward in the press box. Jooris can be an effective fourth line player when he plays with some bite, uses his speed and plays with reckless abandon, but too many penalties this season has been an issue. He's 25 years old, wasn't drafted, and in many ways is the type of fringe NHL player that all organizations will already have in their system. Would he get claimed if put on waivers? I don't think so although his contract situation -- on a one-year, one-way deal at $975,000 is certainly not prohibitive from someone taking a chance should the Flames gamble and try to send him down. Granlund has always been the easy guy to shuttle back and forth to the minors when a roster spot is needed because until recently, his role has been mostly fourth line/13th forward and with limited minutes. However, that's changed now. Granlund is being used in a much more high-profile situation and has been thriving in that role with three goals in his last five games. Thursday night against the Sabres, he logged 19:21 in ice time, the third highest TOI in his 62 career NHL games. Heck, he logged more ice time that night than usual workhorse Sean Monahan (18:05). To Granlund's credit, he has also improved his work in the face-off circle. Since his recall, he's gone 24-29 for 45.3 percent, which normally is pretty mediocre but considering last year (among players with > 200 face-offs) he was second-worst in the NHL at 36.8 percent, that's a significant improvement. The Flames have good chemistry in the top nine right now and it's resulting in secondary scoring, which is necessary given the team's shortcomings in net. I can't see Calgary wanting to mess with what's working right now with the club playing its best hockey of the season. Things can change rapidly and Granlund will continue to have to impress or he'll be back on the fourth line and expendable again but right now, the only reason he would be going to Stockton would be to retrieve the rest of his stuff. Brian McGrattan is playing in the AHL with the Ducks affiliate in San Diego. Also on that team is another ex-Flames tough guy in Tim Jackman. 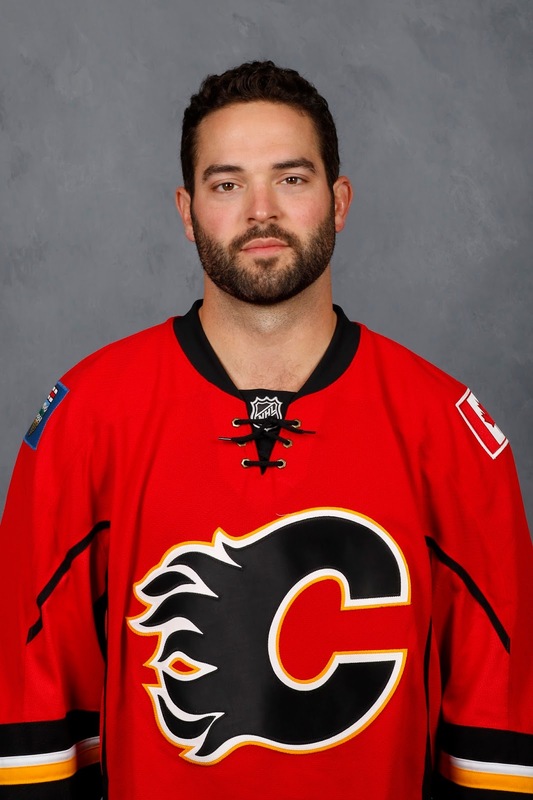 In that regard, it would be easy to envision Brandon Bollig, a frequent scratch of late, heading down to the minors as well. However, the reality is I doubt it happens as while Bollig is a popular target of fan scorn, there is more to him than what you see on the ice and he brings character that I think the club will be reluctant to part with. If you've played team sports, you'll be familiar with how different players bring different elements to a team. Often the guys most revered in the dressing room are not the guys piling up the most points. When you're around the team, you get a sense that away from the ice, Bollig is one of those easy going, popular, so-called 'glue' guys that are beneficial to have around. He's a veteran presence with a lot of playoff experience that can be useful on a team that is relying so heavily on young players still growing up and finding their way in professional hockey. Bollig is also someone who seems to be more effective in big games and against harder teams to play against -- heavy teams like the Kings or dangerous teams like the Blackhawks. He's not skilled enough to be a mainstay in the line-up, but deploy him selectively with Matt Stajan and another physical winger and Bollig can bang and crash and be a serviceable option on the fourth line. 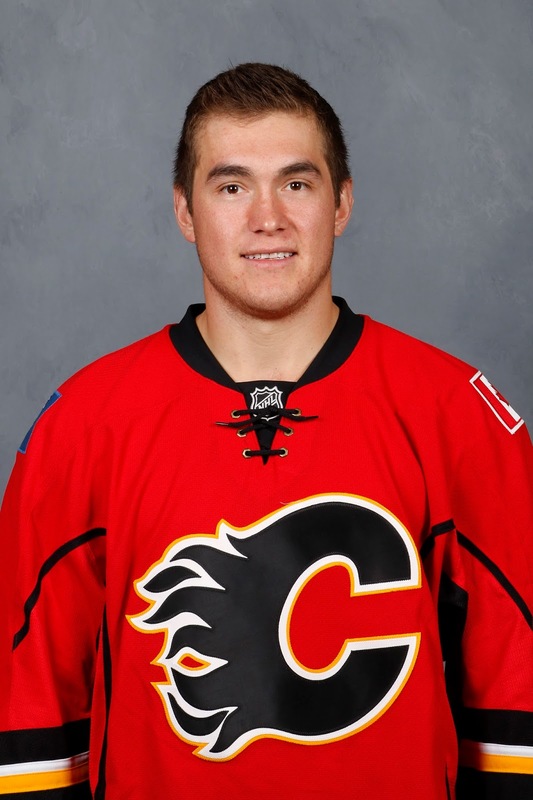 Michael Ferland is in the first year of a two-year, one-way deal but the fact he has a one-way deal doesn't mean he can't be sent to the minors. It just means that like Joni Ortio, he would get paid his NHL salary of $825,000 when he goes down. Also, he would have to clear waivers and doubt there is much appetite in management to take that chance. That said, Ferland needs to recognize that ultimately it's going to be his play more than his contract situation that will keep him in the NHL. After an impressive series against the Canucks last year, the 23-year-old hasn't had nearly the same impact this season and from afar, it looks like he's playing too cautious and too safe. He was candid early in the year when he said that averaging over six hits per game like he did in April against the Canucks (40 hits in six games) was not something that could be sustained. However, he's dialed it down too much. 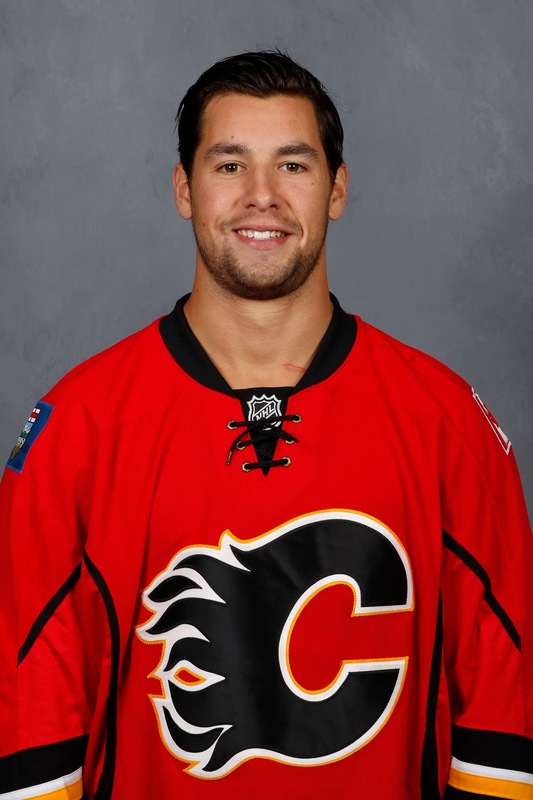 He was on the verge of being scratched Thursday when he got back in due to Hudler's illness. He responded by playing how he can and needs to ny being physical, being aggressive on the forecheck, finishing his checks and letting the opposition know to keep their head up. Against the Sabres, he played just under eight minutes but had five hits and was noticeable. It was exactly the edge he needs to play with and he needs to find a way to manufacture that same emotion every night. The other scenario not mentioned is a trade but with the Flames Christmas roster freeze kicking in, that may eliminate the possibility of anything shaking down on that front assuming Bouma is declared ready to go before Christmas. We'll learn soon enough what the decision is. For now, the onus is on all five of the players mentioned to play every game like it's their last because roles, usage and position on the team's depth chart can change quickly. Calgary today, Stockton tomorrow. It could conceivably happen to any of them.